Back in the day I used t0 always be up to my eyeballs in Vacation Bible School. I even taught clinics on how to do it well. That was then. This is now. Now, I just walk around eating cookies, drinking coffee, playing with the children while wreaking havoc on teacher routines. It’s a good life. Here are seven thoughts on what has gone on this week with our VBS. 1. 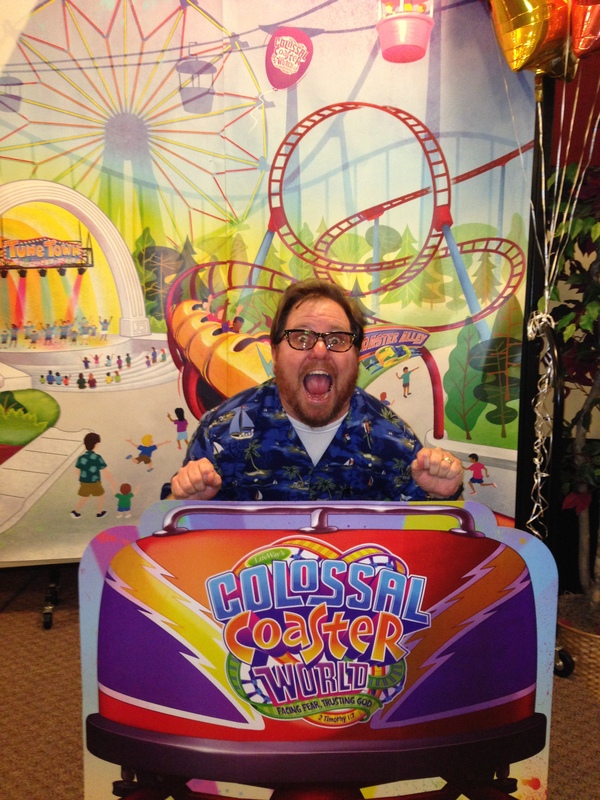 The theme is ‘roller-coaster’ (actually its title is Colossal Coaster World) with the motto “Facing Fear. Trusting God” from 2 Timothy 1:7. I like that theme, actually. I’ve been critical ever since the horribly racist Rickshaw Rally, but I think if we can teach our children that if we trust in the Lord then fear can be managed, we’ve done a good thing. 2. The videos for the week started off really slow and poor, but got better. I find it fascinating that Nashville cooked up a video for the worship rally using “reality tv” as the base. 3. The music is good. Complicated, but good. I get tired every time I see them go through music and worship rally with all the Jesus aerobics they do, all those the hand signals and dance moves and everything. I get so exhausted watching that I always need another cookie after. 4. The kids we have this year are fantastic. I mean it, they have been out-of-this-world great. It seems like they are having a good time. 5. So I said the kids were great, but the adult’s and youth putting the whole thing on are beyond fantastic, they are beyond superlatives. I can’t say enough about how wonderful and dedicated they are. 6. This scares me. It is some kind of game for recreation. 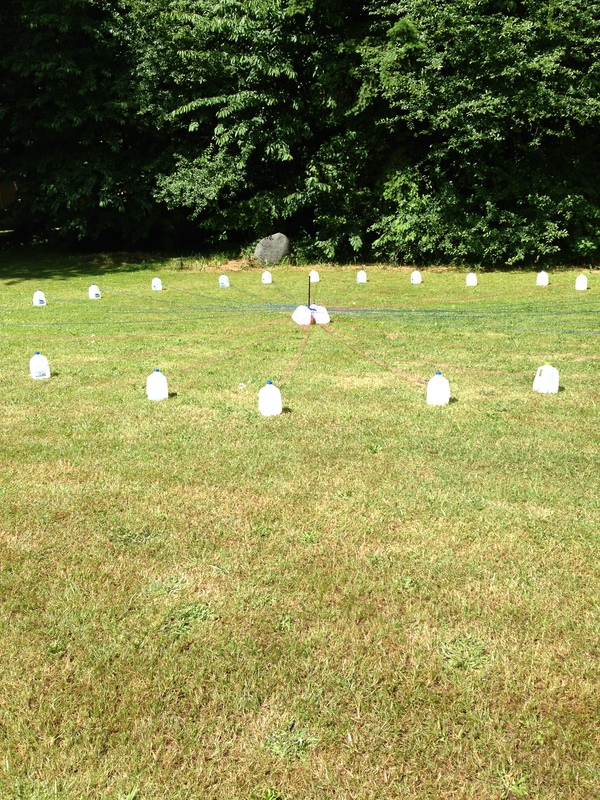 I call it Milk Jug Stonehenge. 7. We made a huge sacrifice to have VBS during this week of the year because it is also the week of Kids Camp. We all love Kids Camp at Camp Kursa, but we felt that we needed to nurture this ministry, which has been flagging. It was a good decision. We will have to wait and see what happens next year. Okay, I gotta run now and go give Dairy Queen certificates for a medium ice cream cone to all the kiddos in the class that had the most kids as we wrap up with the closing worship rally.